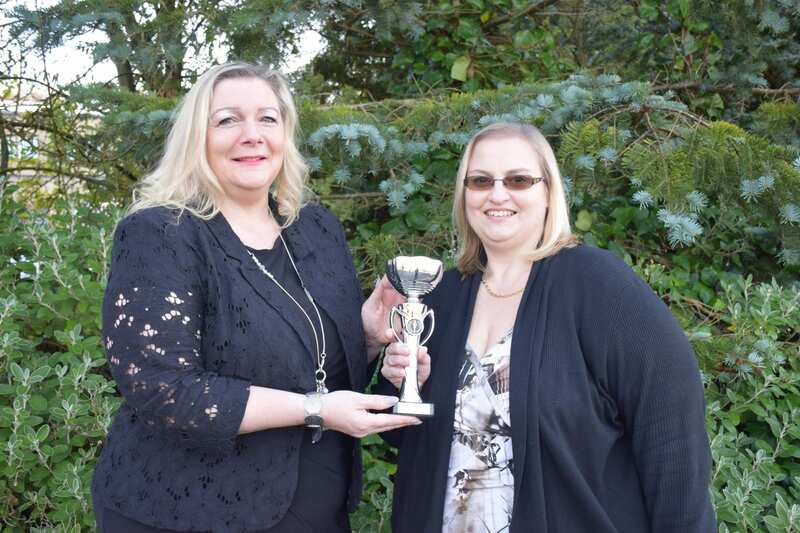 One of Nelson and Colne College’s Apprenticeship Programme Leaders has been honoured for the benefits her work has helped deliver at one of the college’s long-standing employer partners. NCC’s Health and Social Care Programme Leader Jean Ringham has been awarded a ‘Making a Difference’ Award by Clitheroe-based Castle Supported Living, a charity providing support to people who have a learning disability in their own homes. Jean attended Castle’s 25-year celebration at The Grand where she collected her award. Jean has trained the majority of the company’s staff in a 10-year period, including Sandra Shaw who won a Highly Commended prize in the North West Regional Final of the National Apprenticeship Awards 2017. Jean said: “I’m absolutely thrilled to receive this award. It was a lovely moment on stage when I received the award and people were cheering and clapping me. “There were people there who have trained a decade ago through to people I have trained more recently and people who I am currently training. Debbie O’Brien, Manager of Castle Supported Living, said: “I’ve been at Castle for six years and Jean has made contributions to the organisation at every level and to each and every person who has been through the journey of achieving their NVQs and awards. She has motivated and inspired people to learn and has boosted the confidence of staff. “From an organisational point of view, her support with funding has always made it easier for what we have to do in terms of managing Apprenticeships. Nelson and Colne College is second in the country for its 16-18 Apprenticeship success and it offers a tailored approach to Apprenticeships at a range of levels and in a variety of different sectors with businesses across East Lancashire and beyond.